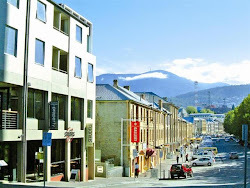 A House in Hobart: AWOL. Hello again! I am back reunited with my computer after a country holiday in the northern midlands. I did try and blog on my various i bits and pieces yet couldn't work out how to include photos -and let's face it, it's boring without the visuals. I don't care if my husband writes Polo off as trash, I'm going to publicly state that I think it is a great read. Riders and Rivals are almost as good yet I am really sorry to say that unfortunately, in my opinion, Jilly Cooper lost her way after these three books. Nothing has ever been the same again. I last read Polo seven years ago when we were moving into our house - we didn't have a kitchen and everything was caked with the detrius of builder's filth. It gave me comfort to live vicariously in the Cotswolds amongst the polo playing set near possibly one of the greatest spunks in literature Rupert Campbell - Black. Surely he's up there with Mr Darcy? Such was my obsession that Mimi, Felix and I (it was way back in the days before Tobes and Camelia) named the horses in the park at Fitzroy Gardens, Spotty (aka Potty) and Fantasma after Perdita and Luke's ponies - unfortunately they have now been replaced by more sedate child's play equipment which it would be impossible to have a relationship with. In my defence, the other books on my shelf that I also regularly reread are my collected works of Jane Austen and the Nancy Mitford Omnibus. Years ago we had a Jane Austen odyssey on a motoring holiday through the UK and last year when we were in the Cotswolds we made a pilgrimmage in our motorhome to Swinbrook cemetry to visit Nancy Mitford and most of her sisters. Hopefully I will find the photo and edit it in later. Must dash as the baby has just woken up. More tomorrow!